Designed by Carolyn Kinder International, the Sherise Bronze Oval Mirror features a beaded frame made of hand forged metal finished in lightly distressed, oil rubbed bronze. Mirror is beveled. Available to trade professionals at Uttermost.com. 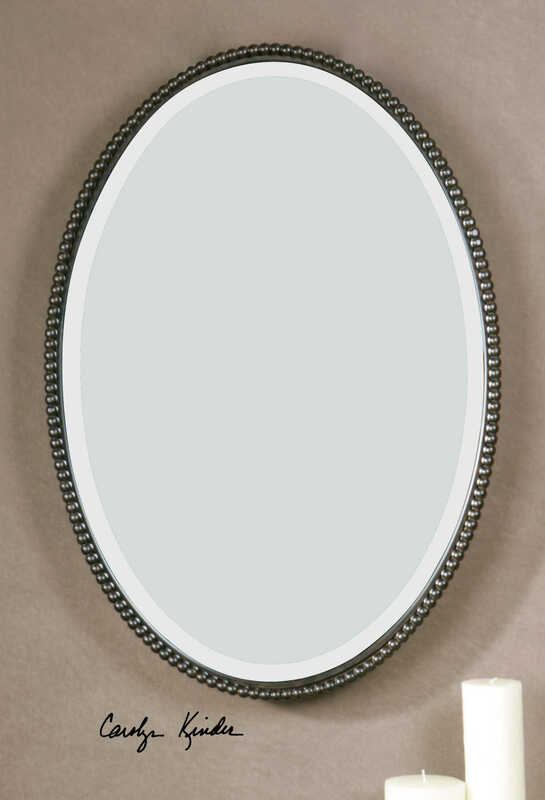 For retail purchase Google keyword “Carolyn Kinder Sherise Bronze Oval Mirror”.